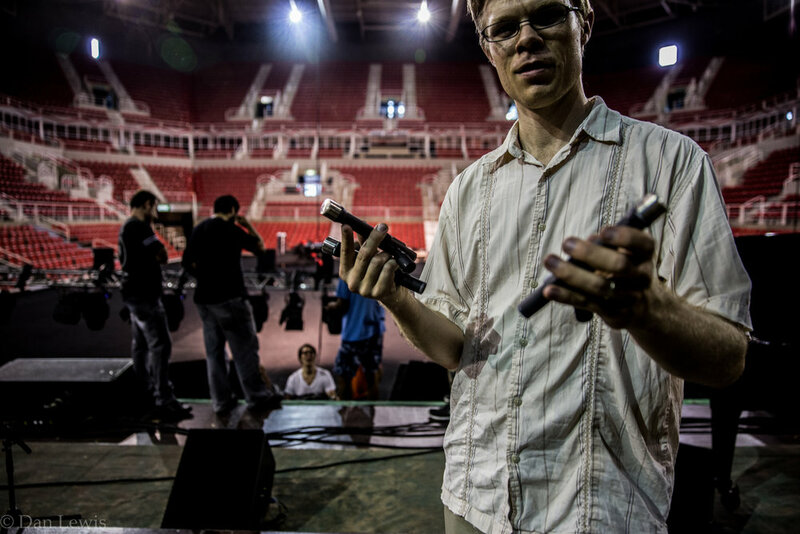 Jesse Lewis, carrying the three DPA 4041 condensers used to pick up the orchestra from overhead. A pair of DPA 4006s (not shown) were also used. 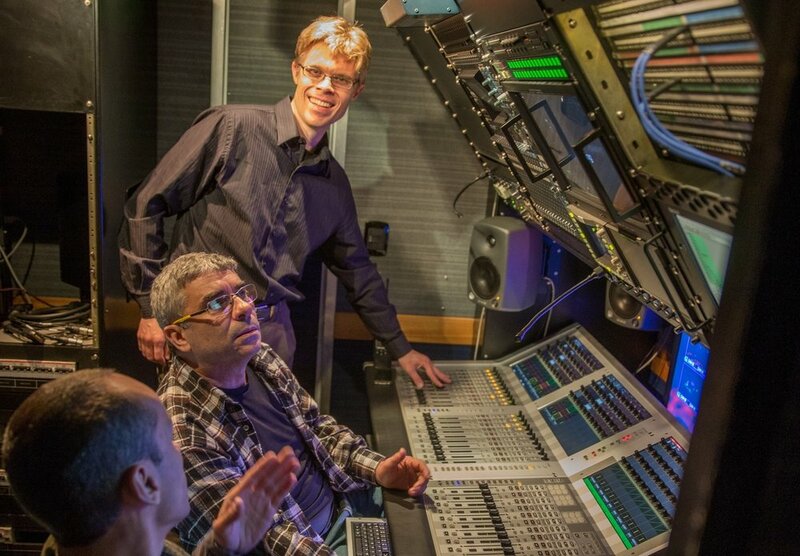 Front to back: Jerry Eade, Front of House engineer for Placido Domingo; Jesse Lewis; and Jörg Thomas Mohr, assistant to the director discuss microphone positions for DPA 4011 and 4099. As part of the 2014 FIFA World Cup celebration in Rio de Janeiro, tenor/conductor Placido Domingo, pianist Lang Lang, and soprano Ana María Martínez joined the Brazilian Symphony Orchestra and Opera Chorus in concert at the HSBC Arena Stage on Friday, July 11th. 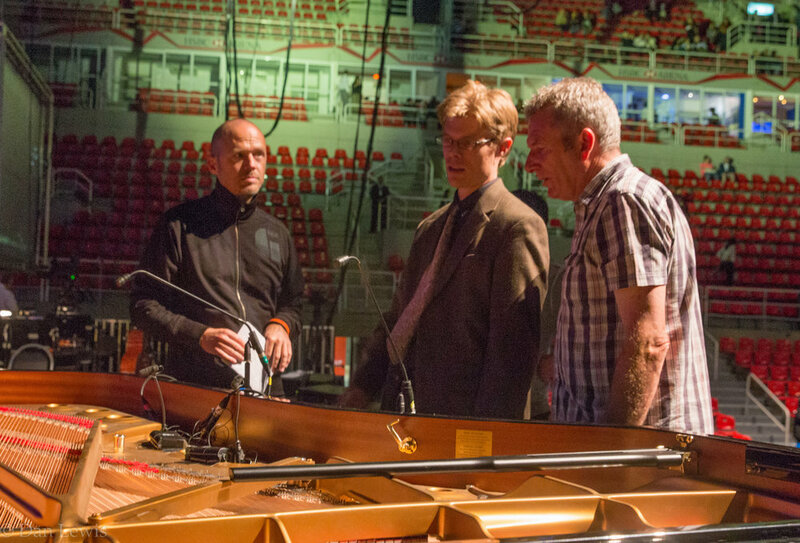 Jesse joined the festivities as audio producer for Bernhard Fleischer Moving Images in the concert's international television broadcast.